Previous PostPrevious Annual Passholder Special Offers and Events! 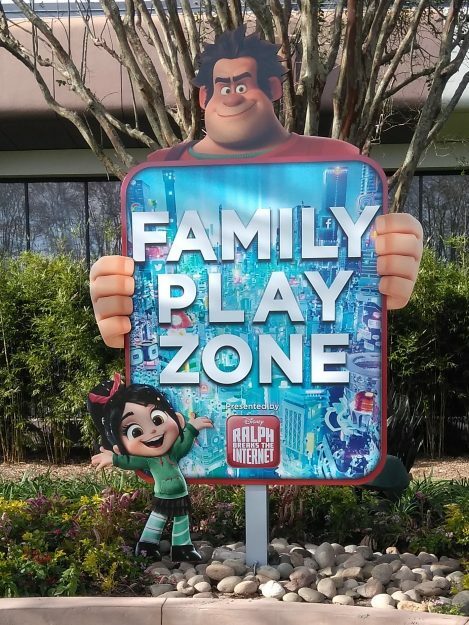 The playground area near Test Track over in Epcot has been fully transformed for the release of Disney’s new Ralph Breaks the Internet! 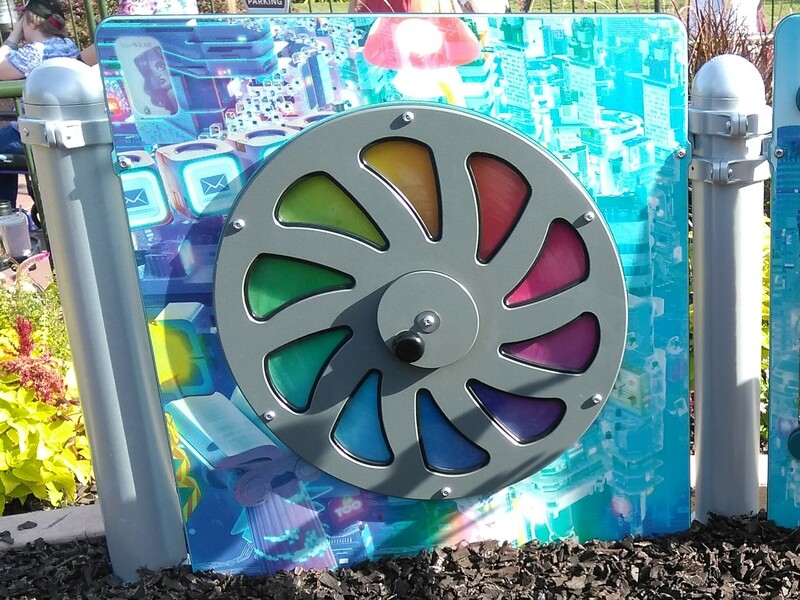 The sequel to the original Wreck It Ralph film is entertaining for little ones, so why not transfer their love for the movie into a full-scale area of fun? 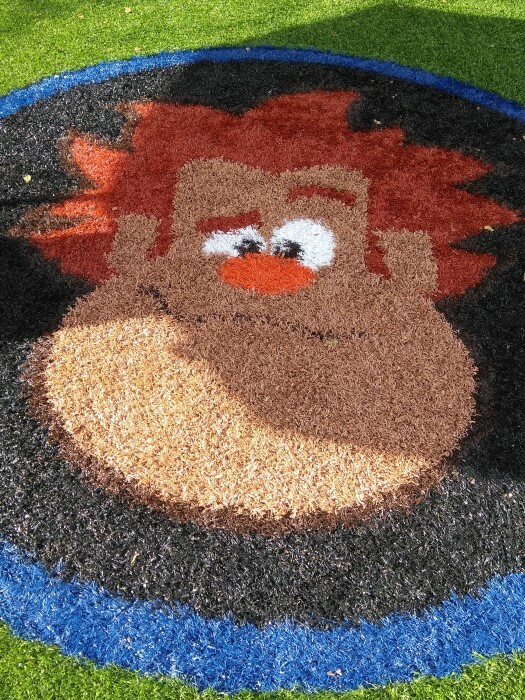 A smiling Ralph icon welcomes you to the newly themed area, where kids can climb on the jungle gym or run around doing various other activities. This makes for a great photo opportunity before your little ones get down to the serious business of playing. 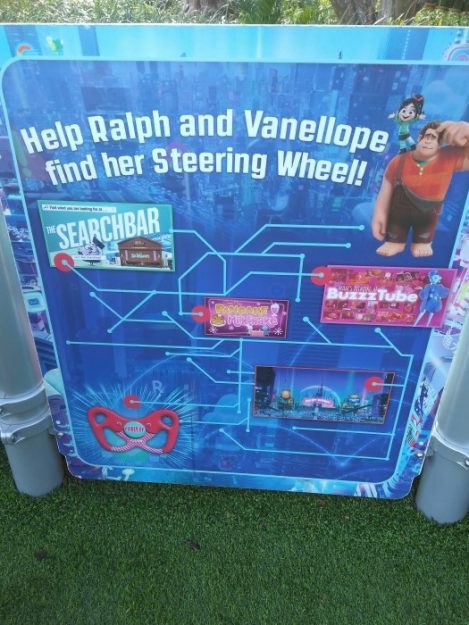 Vanellope’s not going to get very far without her steering wheel, so help her through the tangled inter-webs to find it. This is perfect for kids who might want a bit of a challenge. Spin the wheel to make the colors blend together! You could use this opportunity to apply what you learned over at Colortopia over at Innoventions. 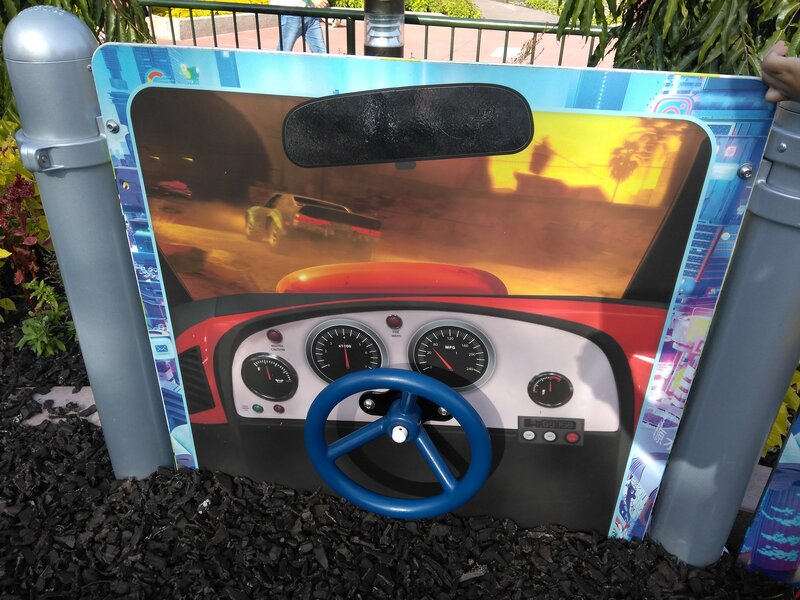 Take a wild ride on a classic playground car featuring the skyline of the internet as pictured in the Ralph Breaks the Internet film. These turned out to be a very popular area of the playground. Kids can pretend they are in one of the futuristic pods that transports Ralph and Vanellope through the internet. Where will you end up? Get behind the wheel of the Slaughter race featured in the movie. Watch out for Shank! Don’t let her beat you! 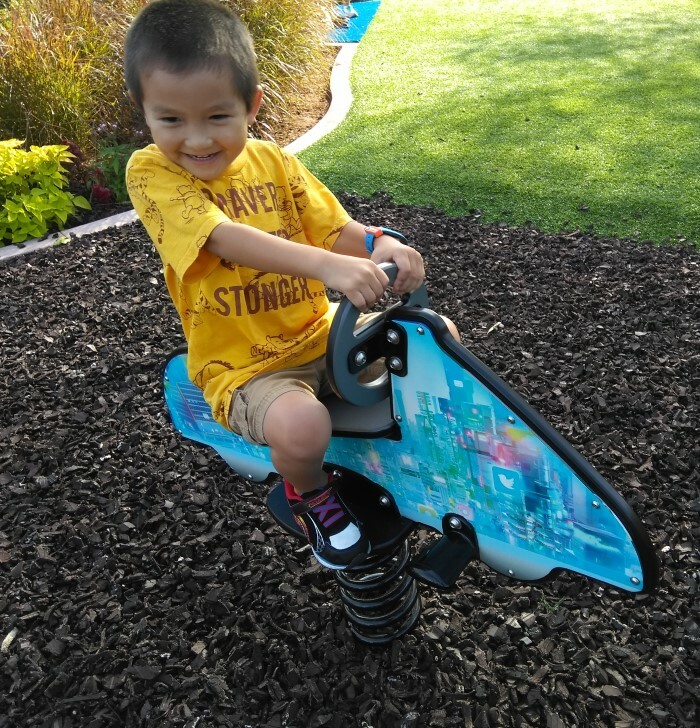 If you’re looking for an area to take a break while your little ones burn off their energy, this is an outstanding stop in your day. Since Test Track might be too much for some kiddos to handle or they might not yet reach the height requirements, you can even use this area to wait while you’re using a rider swap. 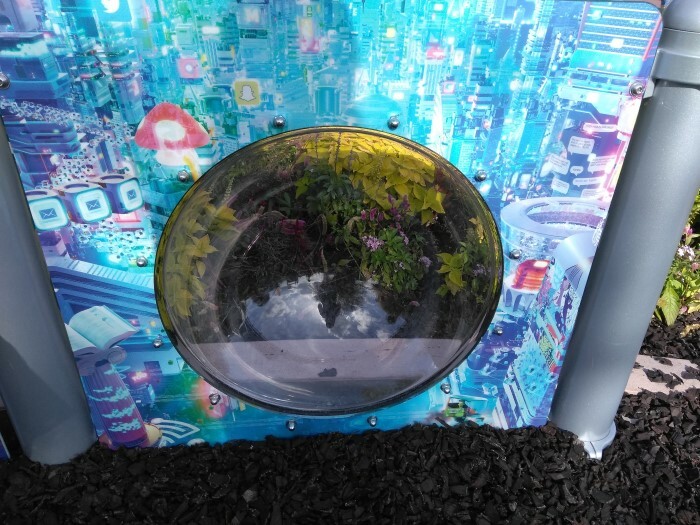 Have you had a chance to play here yet? Did you know you can meet Ralph and Vanellope in person, too? Check out our blog on their new meet and greet location! Will you be checking out the new Ralph Breaks the Internet movie? Let us know your thoughts in the comments! Liked the area when we visited in early October, even our 13 month old had fun running around. Wish there were more places like this around the parks, kids need to just run around sometimes. Also need to have lighting for the night time so that fun can continue after dark. Wreck It Ralph? What is, or who is, that? If these are the Disney characters kids are are dying to see in the parks, the end of Disney can’t be very far off. They have went from “A wish is a dream your heart makes” to “Wreck it, Wreck it, Ralph.” Sorry Walt!